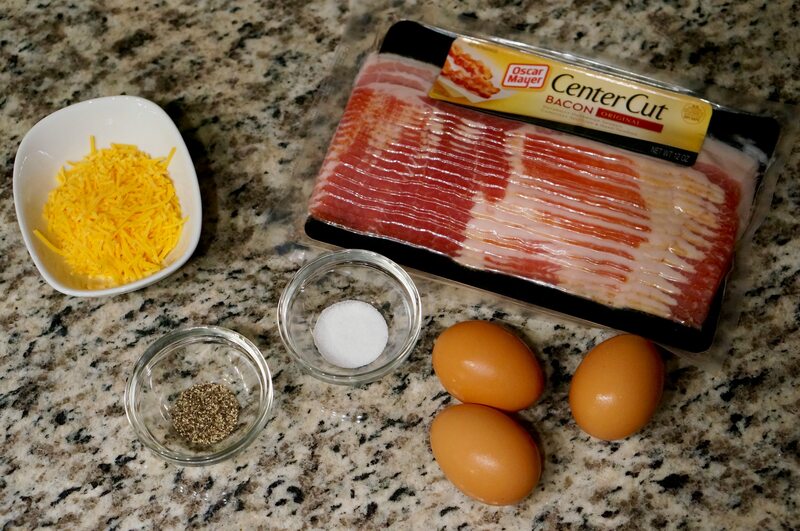 Father’s Day is Sunday, and what a better way to wake up your dad than with these bacon egg muffins! 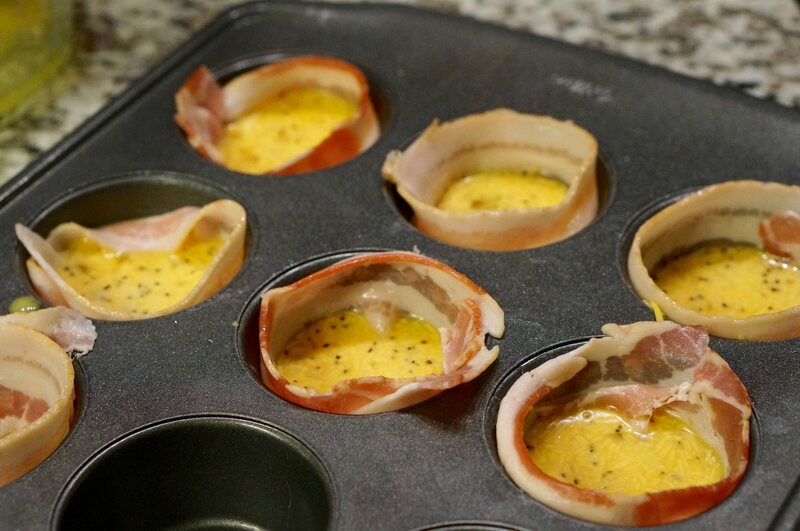 I recently learned how to bake eggs in a muffin pan from this pin that I found on Pinterest. As usual I tested out this shenanigan because it looked too good to be true. 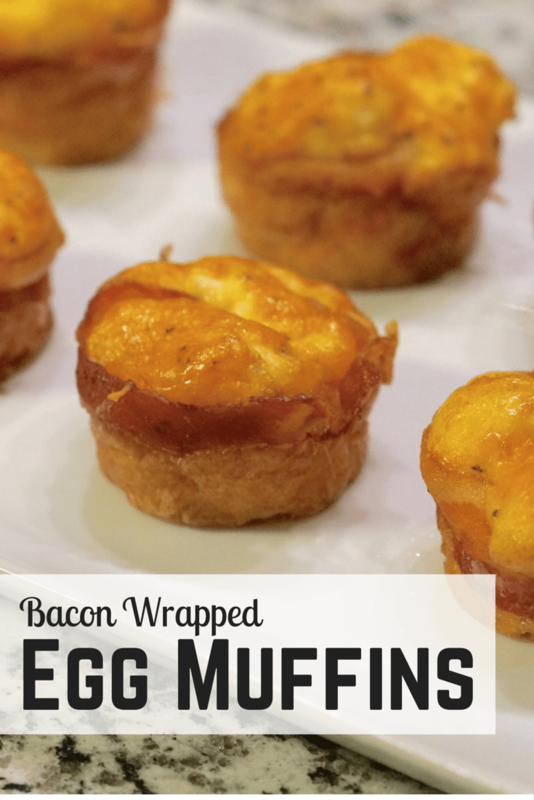 I mean seriously, what sounds better for breakfast than serving a muffin sized scrambled egg wrapped in bacon?! So let’s get started! 2) Use a whisk to mix your 4 eggs together in a medium sized bowl. Then mix in cheese, salt, and pepper. 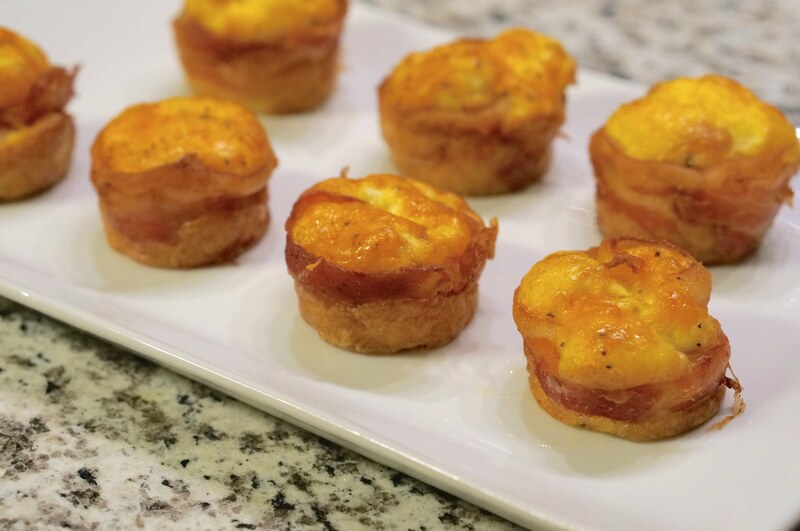 3) Use 1 slice of bacon to wrap around the inside of each muffin tin (watch my video above to see the best technique). 4) Fill with your egg mixture and bake for 35 minutes. Check to make sure it is golden brown and remove from oven. I was super impressed with how these turned out. They stayed together way better than I thought and were very fluffy and flavorful, so shenanigans revoked! If you try them out, be sure to comment below or on my Facebook page with your feedback. 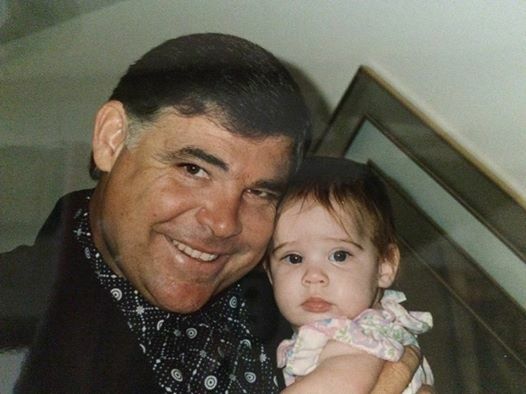 Hope all of the dads out there have a great Fathers Day! I am lucky enough to have an amazing man and role model for my dad and I can’t thank him enough for all he does for me. He is hard working and supports me in everything I do. He taught me to be persistent, go the extra mile, and most importantly knows how to shop and has an amazing sense of style 🙂 Happy Father’s Day to my amazing dad! Those look amazing and so simple! Lovely tribute to your dad too!